What a fixture page contains? 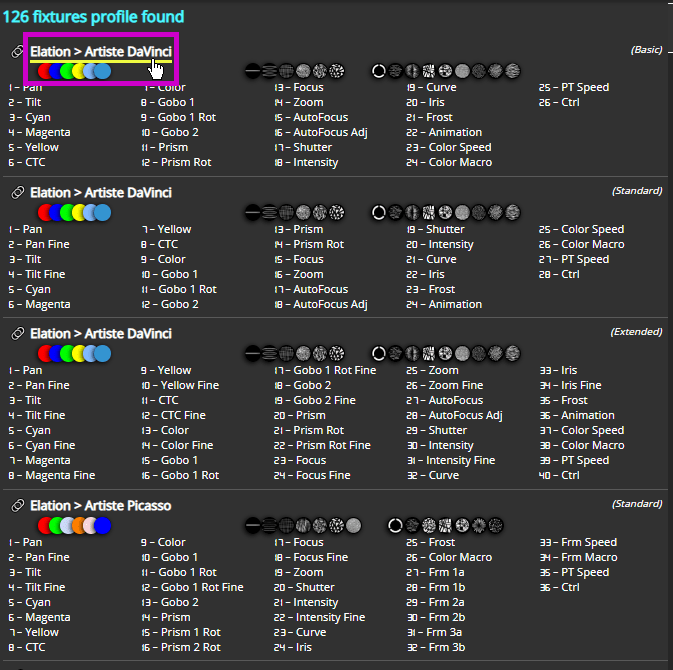 Once your search is complete, you can access to the Fixture Details to get more informations. 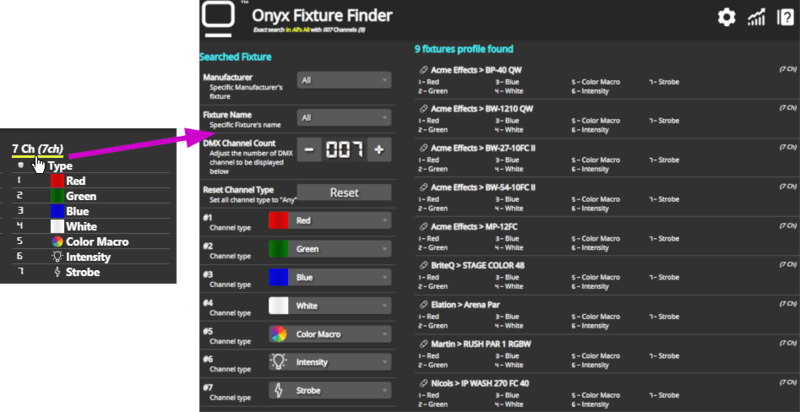 This User Guide will describes the informations available and the Onyx Fixture Finder features. 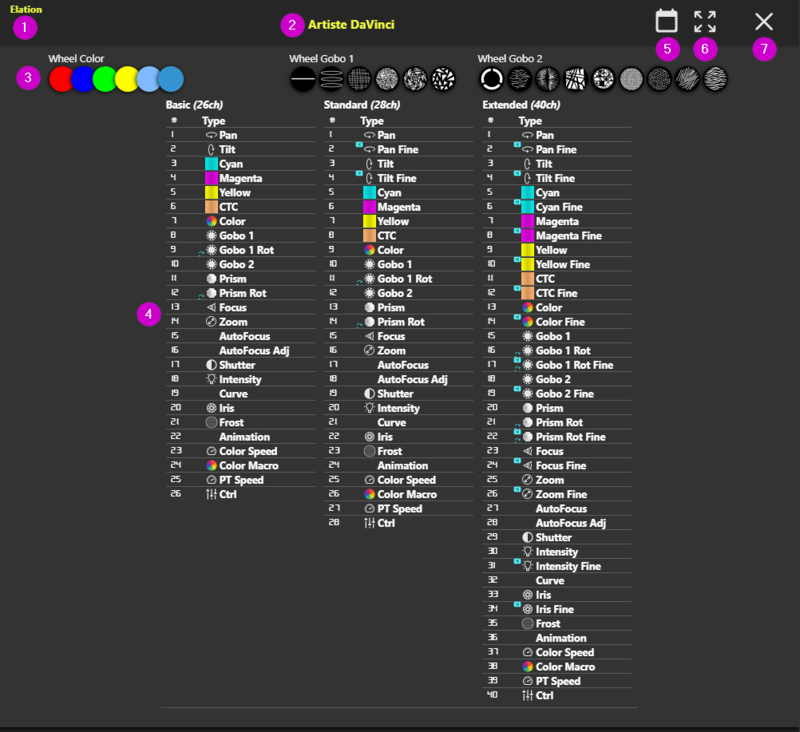 The DMX Charts (4) are displayed by mode. 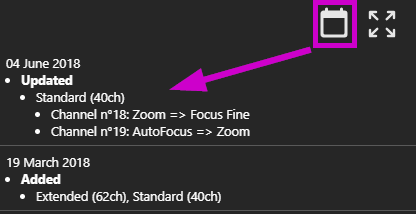 This button is only displayed if the fixture detail page is display on a search page. Click on the "Close" button (7) to close the fixture detail window and get back to the search result.